Volume 4, Edition 3	 Trouble loading? View this email online. 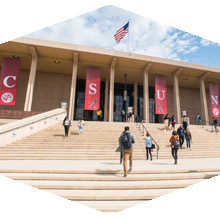 Before the Fall 2016 semester got underway, CSUN President Dianne F. Harrison took a look back at some of the best accomplishments from the 2015-16 academic year and looked ahead to more success in the coming year. Recently, the Los Angeles Unified School District recognized 22 educators as Teachers of the Year. 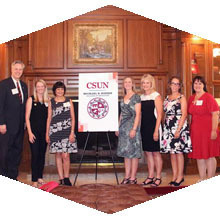 Seven of the teachers are CSUN alumni, and all appreciate how their alma mater helped prepare them for their careers. CSUN’s first Campus Care Advocate, Katie LaRue, is starting her second full academic year as a supportive resource for CSUN students, faculty and staff. LaRue’s private office is located in the Klotz Student Health Center, where she already has assisted survivors of sexual misconduct, domestic violence, dating violence and stalking. Thu, Sept. 1, 7 p.m. The summer’s weekly movie fest concludes with the latest edition of the classic space saga. Food trucks will be available to attendees at 5:30 p.m.
Fri, Sept. 2, 7 p.m. The soccer season is now in full swing, so head to the Matador Soccer Field and watch the women’s team in action. Children 13 & younger wearing a team jersey or T-shirt receive free admission with a purchased adult ticket. Tony and Emmy-winning actress Tyne Daly steps into the role of mad Countess Aurelia in Jerry Herman’s musical DEAR WORLD. 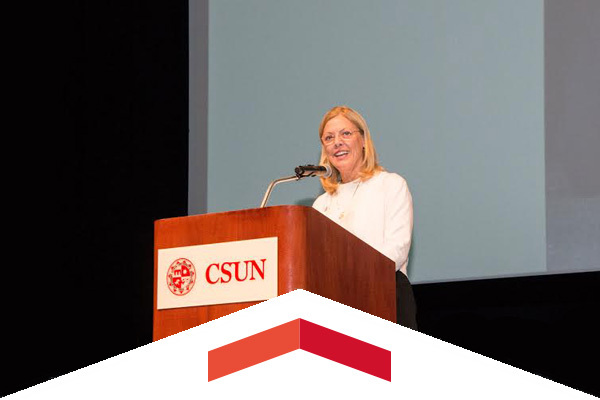 More than 100 CSUN academic and administrative leaders convened to prepare for the 2015–16 academic year — and to equip themselves to welcome the largest student body in the university’s history — for their annual retreat. View our online calendar of Professional and Personal Development Programming to see the various workshops and events available to you this year. We’ve partnered with faculty, staff and departments throughout campus to help you connect the dots. Learn, Engage, Rise and Enjoy. With open enrollment around the corner, plan to stop by the HR Benefits and Wellness Fair in the Student Recreation Center to learn about plan options, services and resources available to you and your family. CSUN professor and Institute for Sustainability Director Helen Cox received the Sustainability Champion award at the California Higher Education Sustainability Conference. Theoretical astrophysicist Wladimir Lyra and students work to answer some big questions.